I had to stop at Ike’s Place in San Francisco. I’ve had it on my San Fran “food bucket list” after I saw it on an episode of Man Vs. Food with Adam Richman on the Travel Channel a few years ago. You know I love me a good sandwich or burger- it’s my favorite food. So it was only appropriate that out of all the incredible culinary restaurants that San Francisco has to offer, I chose to get down and dirty with an epic, sloppy sandwich at Ike’s Place. Not only did I have one of the best sandwiches of my life, I got to meet and chat with Mr. Ike Shehadeh himself! He suggested what sandwiches to try and I ordered all of his suggestions, (obvi). The sandwich Ike told me to personally order was the Paul Ruebens, made with pastrami, french dressing, poppyseed coleslaw, and I substituted swiss for havarti cheese. The variety of sandwiches offered at Ike’s Place is overwhelming but in a good way- there is so much to choose from and all the combinations are brilliant and look delicious. It was hard to choose so I trusted Ike to choose for me, and he did me right! I LOVED it. I kept saying I didn’t want it to end while I was eating it, (my friends can attest to that). The bread brought the sandwich to a whole other level. It is made fresh to order and “Ike’s Dirty Secret Sauce” is spread on every sandwich and baked right into the bread. Then, they spread another layer of the sauce on the bread after it’s baked. What also made the sandwich extraordinary was the sauce. It was creamy and slightly spicy with a kick which complimented the sandwich perfectly. I’m a sucker for sauce and it made it sloppy and juicy, just how I like it. Ike said he’s a big fan of sauce too, so the menu offers a wide variety of sauce options. My friends and I brought our sandwiches to the San Francisco Conservatory of Flowers and had a picnic on the grass. It was one of those perfect moments. Check out my exclusive interview with Ike below! 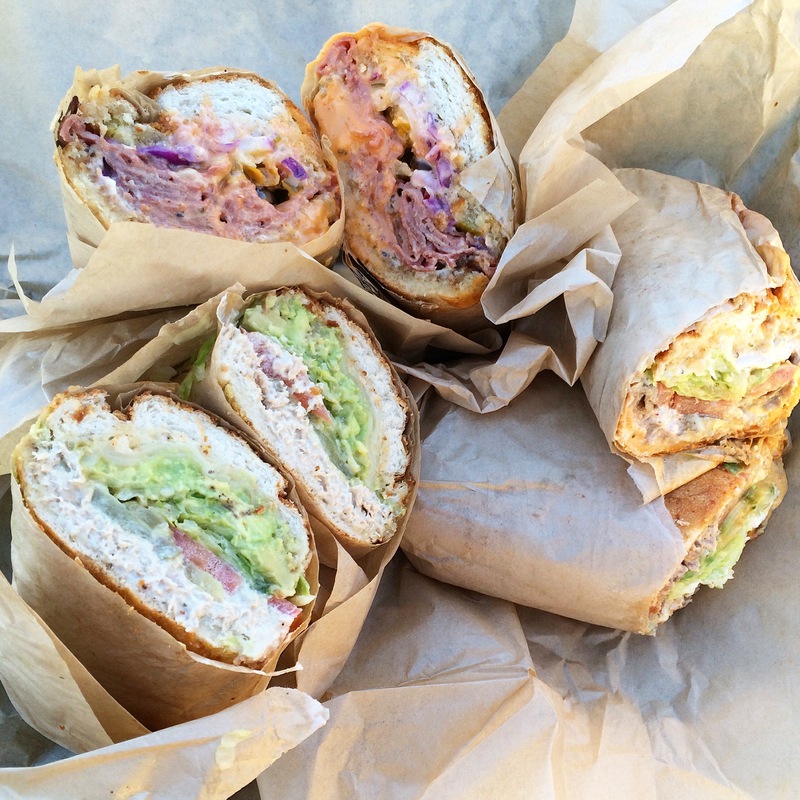 And to all my LA readers and followers, they just opened an Ike’s Place in Westwood!!! If you go, I’d love to hear your thoughts! Thank you Ike for an incredible first experience. It was everything I had hoped for- I’ll be back soon! I’ll be in San Francisco in a few weeks and would like to try this place out. I’m currently attending Le Cordon Bleu in Las Vegas. Major Foodie! Do you have any other recommendations in SF that you personally preferred?